TIMES are often tough for many in rural areas so it's especially important to check in with your mates and ask R U OK? This is the key message from rural doctors on RUOK? Day, which is being held today. President of the Rural Doctors Association of Australia, Dr Adam Coltzau, said reaching out to your friends and family, and providing them with support if they are feeling depressed or anxious, can really save lives. 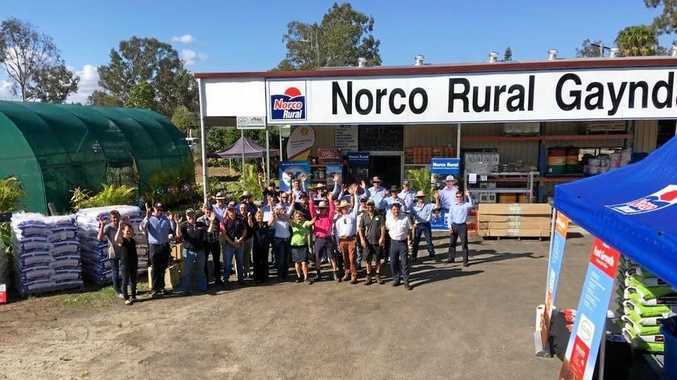 "Many rural and remote Australians are feeling the effects of the ongoing drought, coupled with financial or other stresses,these difficult times exacerbate everyday stresses, and leave some people feeling that they just can't cope,” he said. Dr Coltzau said while everyone feels this way from time to time, it is important to recognise when this is becoming more than just a transient mood and may be developing into a more serious condition. "Your rural doctor, mental health nurse or other mental health professional is a great first port of call if you are experiencing feelings of anxiety, sadness or depression, particularly if you've been feeling like this for more than two weeks,” he said. Dr Coltzau said if you feel that your mood is worsening, not getting better or affecting your life, then it is important to talk to somebody about it, it is also important to ask friends and family if they are ok, and to support them in finding assistance if they aren't. "Suicide affects a higher number of young men, accounts for one-third of deaths among people aged between 15 and 24 years, and over one quarter of deaths among those aged between 25 and 34 years,” he said. Dr Coltzau said looking after your mental health is just as important as your physical health, so don't feel embarrassed about seeking help, one out of every two people will struggle with their mental health at some point in their lives so it is far from being unusual. NBRC Mayor Rachel Chambers put this question out to the public; aren't we all struggling with life? Regardless of the face we wear in public, don't we all struggle behind the scenes? Cr Chambers made the comparison between mental health and a rubber band. "Mental health is like a rubber band, some people are more resilient than others having more ability to withstand repeated strain, some have had strain for an extended period of time and are worn out and some look like they are so strong that nothing will snap them,” she said. However all rubber bands have one thing in common, she said; they will snap at a point where they can't take any more strain, there is no 'super rubber band' which won't break. "There sometimes isn't any warning when they break and sometimes you can see the middle bits fraying so you know it's coming,” she said. Cr Chambers said the trick is, to work out ways to relieve the pressure on the band to stop it snapping. "The point I want to make is that we are all in this together, some days are good, some days are bad, on our good days it would be wonderful if we could to reach out to others who are working through their bad days, without judgement, just supporting each other in the knowledge that we are all rubber bands doing the best we can,” she said.